It is recommended that skylights are maintained on a regular basis, as this can eliminate the expense of high repair costs in the long term. With regular cleaning and maintenance, problems can be detected at an early stage and repaired timeously. 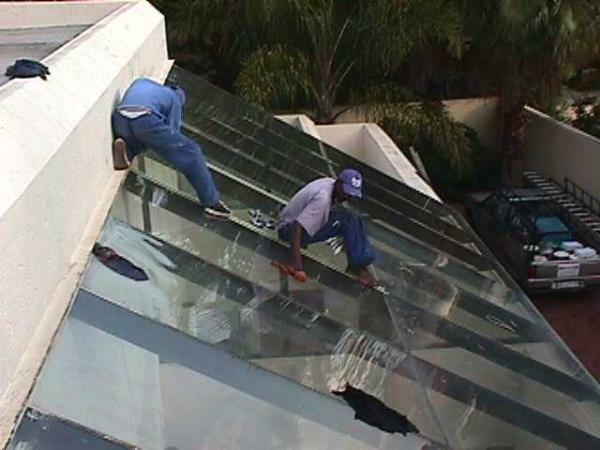 Depending on the skylight system,single damaged glass panels can be replaced - as shown in this photo.